Poster Southeast Asia landscape vector illustration with rocks, cliffs and sea. China or Vietnam tourism promotion. Framed Poster Wild coniferous wood in a morning fog. 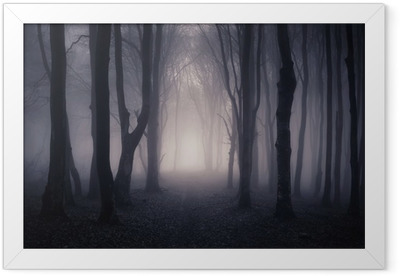 Framed Poster Spooky Tree Dark Night ./Halloween background.